Dipp Metzger, a nationally-recognized leader in wealth either wealth solutions, will address “Why Goals-Based Planning Works For Female Clients In Particular,” an approach her firm employs to support women’s investment success. Lizzie Dipp Metzger CFP®, AEP®, President and Founder of Crown Wealth Strategies, will speak at FA’s 4th Annual Invest in Women Conference, April 31- May 2, in Houston. Dipp Metzger, a nationally-recognized leader in wealth either wealth solutions, will address “Why Goals-Based Planning Works For Female Clients In Particular,” an approach her firm employs to support women’s investment success. 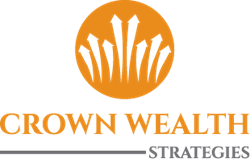 Crown Wealth Strategies is a full-service estate planning and retirement planning resource for families, professionals and business leaders seeking to both maximize and protect the value of their holdings over the course of a lifetime. In only seven years, Dipp Metzger has catapulted her firm to the pinnacle of industry lists, and herself was named Council President by New York Life in 2017, the highest honor awarded by New York Life to its approximately 12,000 agents. Presented as a “360-Degree Approach for Women in Wealth Management,” Invest In Women 2018 is the leading forum nationwide to explore, discuss and learn about issues that are meaningful for women financial advisors and female clients. As a business owner, Metzger is expert at strategies for structuring a business, succession planning whether it involves the sale of a business or ways to usher in the next generation in ways that are financially prudent and fair to past and present owners. As a financial leader and mother of three children, Dipp Metzger can also relate to the issues of importance to women clients. These can include preparing for financial security for their families – children and elderly parents – and philanthropic contributions to their communities and organizations that matter to them. Lizzie Dipp Metzger is a member Agent, The Nautilus Group®, a service of New York Life Insurance Company -http://www.TheNautilusGroup.com Financial Adviser offering investment advisory services through Eagle Strategies, a Registered Investment Adviser. Registered Representative offering securities through NYLIFE Securities LLC, Member FINRA/SIPC, a Licensed Insurance Agency, • 303 N. Oregon Suite 1100 El Paso TX 79901 •915-534-3200 Crown Wealth Strategies is not owned or operated by Eagle Strategies LLC or its affiliates.